The mouth is the entryway to the body and if not taken care of, it can cause dire health consequences to the entire body. Most people are aware that they need to visit the dentist twice a year for a general check-up. However, only a few people maintain regular dental visits. Some people may question, “But does it REALLY make a difference if I miss a regular check up?” Well, it is advisable to sustain good oral health and regular dental checkups to maintain good overall health. Below are some consequences of not maintaining a regular dental check-up. Dentists inspect your teeth to ascertain whether you are maintaining good brushing and flossing. Additionally, through x-rays, your dentist will determine if you are developing cavity even before symptoms are visible. Missing your dental appointment increases the chances of bacteria to build up due to lack of sufficient cleaning which can lead to the development of cavity. In fact, you won’t know you are developing a cavity until you start experiencing the symptoms. Most teeth and gum diseases are treatable when detected early. However, if you fail to maintain a regular checkup, the disease might spread and you might lose your teeth. Some of the diseases include advanced periodontal disease and tooth decay. Losing your teeth leaves you with embarrassing gaps in your mouth. Nonetheless, you can opt for dentures which can be costly. To avoid this, maintain a regular dental check-up schedule twice a year. When dental problems are not addressed in a timely manner, they may become very painful. Sometimes, people assume teeth sensitivity and mild pains during chewing. Others opt to self-medicate with over the counter medicines like aspirins. While this may alleviate the pain in the short run, it does not address the underlying problem. Actually, the problem might become worse if not checked by a professional. Gum disease is a common problem that can have a severe impact on your overall health. Interestingly, gum disease does not happen overnight, but due to continued neglect of gum and mouth health. Bleeding and mild pains on the gum are some of the symptoms of gum disease and if not addressed early, it can cause more inflammations. 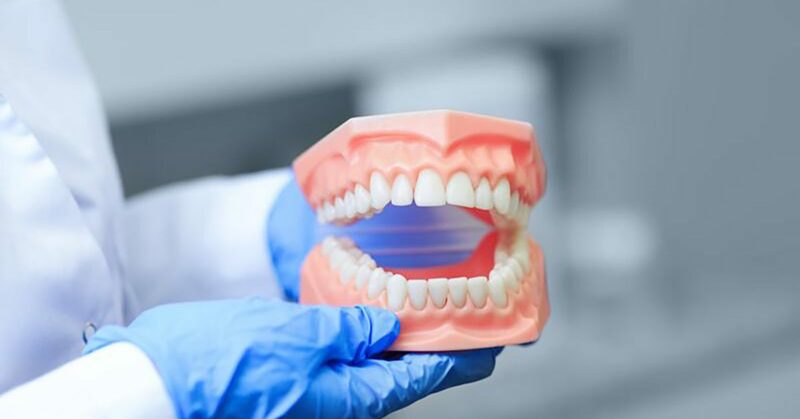 Apart from losing your teeth, a recent research has shown that gum diseases also cause other health issues such as heart disease among other things. Bad breath can be embarrassing. People might not get notice of other symptoms, but they will definitely get notice of bad breath. While bad breath might be caused by poor hygiene, it can also be an indication of other health problems in the mouth. If you do not maintain regular dental visits, you are likely to develop bad breath due to other problems, no matter how good you maintain a good mouthwash. Cleaning your teeth is one of the procedures you get when you visit your dentist. The procedures not only make your teeth clean, but it also helps to maintain a good oral health. The teeth can get stained due to several reasons including smoking, certain types of foods etc. While maintaining a good oral hygiene removes the stains, the dentist is likely to clean more thoroughly and even whiten your teeth upon request.